Move over Yoda – there’s a new Jedi master in town - and it COULD be YOU. 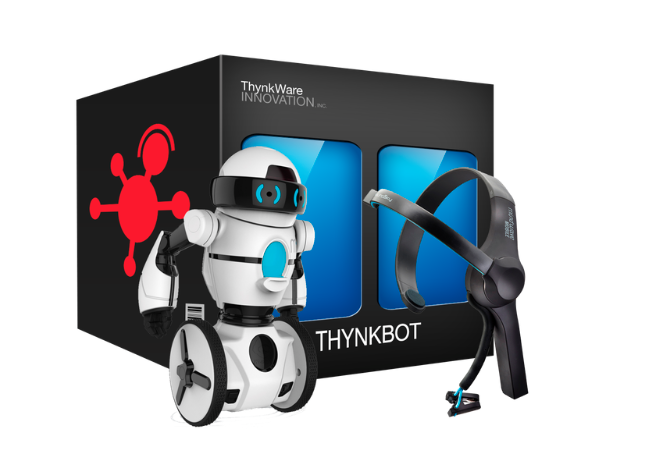 ThynkBots are futuristic mini robots that respond to…wait for it…your brainwaves. WHAT? Now the robots are not exactly The Jetsons material, but they can respond to very simple commands such as forward/backward and it can tell whether you are paying attention to it or not.